FOCUS TRANSPORT: Chesterfield's Community Arts Festival. 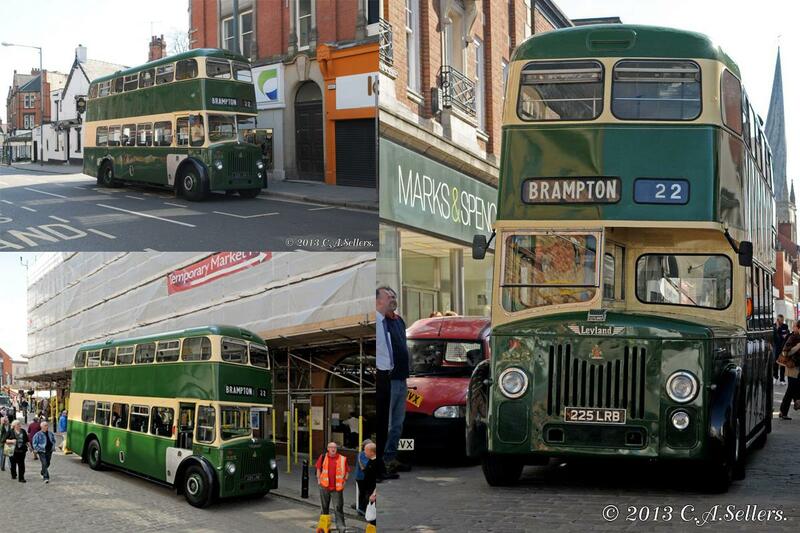 On Thursday 2nd May 2013 as part of Chesterfield's Community Arts Festival, Chesterfield Leyland Titan PD2 no 225 followed part of the old bus route through the town centre onto the market place where a "sixties market" was being held. Former Chesterfield Corporation Transport Leyland Titan PD2, 225 was delivered new in December 1959, entering service on 1st January 1960. Chesterfield Tram no 8 returns home. 4/05/2013. 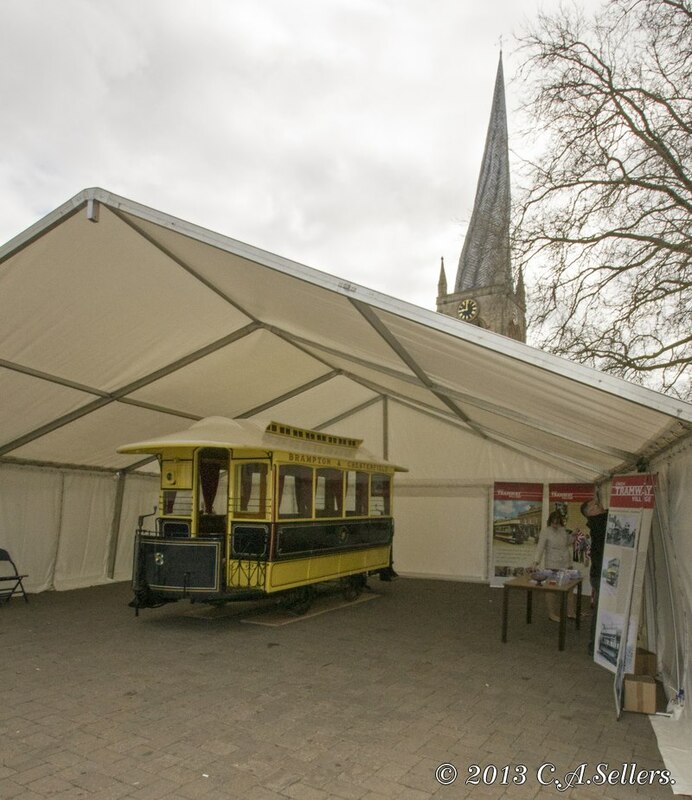 Horse drawn tram no 3 from 1899 stands under cover near to the Crooked Spire. 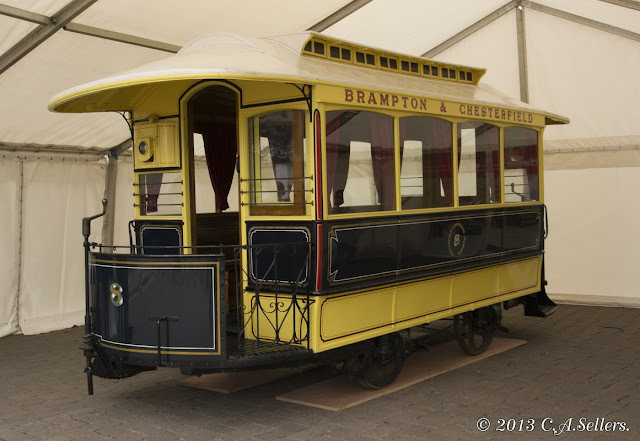 This tram was very small, having half the seating of the Optare Solo's operating in Chesterfield today.